MANHATTAN (WPIX) — At least 34 people were injured in a derailment that caused chaotic, smoky conditions at a Manhattan station, and halted subway service on the A, B, C and D lines Tuesday. Those hurt suffered non-life threatening injuries in the derailment at 125 St/St. Nicholas Ave, according to FDNY. The train ride was unusually rough and rocky ride during the derailment, and smoke became visible once it stopped, according to passenger Kelly Kopp. "I felt like I saw an explosion, or a fire or something, I didn't know," Kopp said. The power then went off and the train doors remained locked, prompting some passengers to panic and scream, according to Kopp. "All doors, everything was locked. We had to kick the windows out of the subway doors. I mean, they're shattered on the floor, the glass," Kopp said. The train derailed at about 9:45 a.m. and riders were evacuated by 11:05 a.m., according to the MTA. 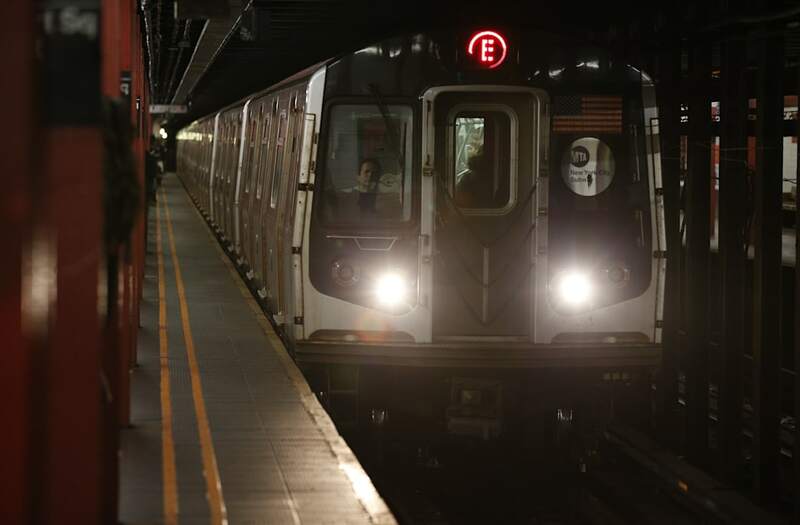 In an update at 1:02 p.m., the MTA said to expect delays on A, B, C, D, E, F and M lines. Images on social media show firefighters on scene and smoky conditions. "Huge bang, sparks and smoke. We were stuck underground for a while but it seems nobody was hurt," Gabriela Martinez said. Passengers were also apparently evacuated from a B train, images on social media showed, but it was not immediately clear why.